Most consumers don’t really know how real estate agents work, get paid or function. If you find the image useful, please feel free to download it and share it, I just ask that you link back to this page. Good luck! Hopefully it helps shed a little light on this mystery. 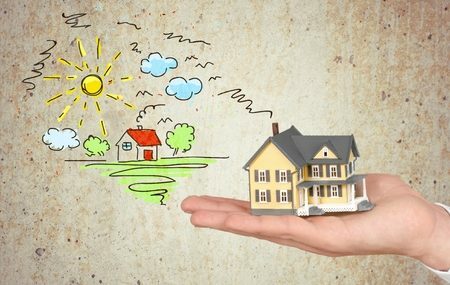 Since I was a child I have always been intrigued by real estate, and what my parents always said “Location, Location, Location” – I have carried that lesson forward in my life, as a REALTOR and an Associate Broker in Delaware, I see examples of this rule every day, but realize that most consumers don’t really understand what that means. The first thing to consider is the value of your time. Depending on your profession, your social relationships, education, and interests there are certain things you will find more valuable than others. Typically people value their free time, that time when they are not working, over the time they do work. How does this come into play when we are discussing real estate? It’s fairly simple really. It matters a great deal, more so than any other factor, to better understand let’s look at an example. The best example of the rule of location in real estate is to look at any major City in the world. For this example let’s take New York City. 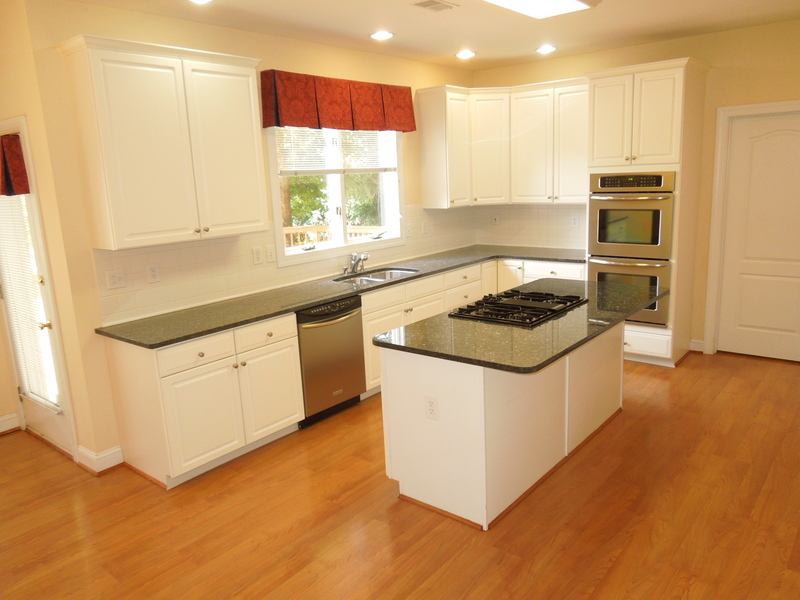 The location of this kitchen determines it’s cost. I went to high school on Long Island and college there as well as in Manhattan (what most consider New York City to be, but the city proper is an area that consists of five separate boroughs – Manhattan, Queens, Brooklyn, The Bronx and Staten Island), so I speak from experience. The closer you are to Manhattan’s primary business districts, the higher the cost is for real estate. Once within the City limits, in any community, the closer you are to public transportation the more premium is placed on the value of the real estate. This rule follows to the commutable suburbs as well. For instance if someone worked in Midtown Manhattan (The area defined as between 34th Street up to 57th Street) and lived on the Upper East Side of Manhattan, you would have the quality of life that is most desirable to those who work and live in Manhattan. The convenience and proximity of your home to your workplace, as well as the convenience of access to Central Park, the East River, great restaurants, stores, etc. You could be at your office within 10-15 minutes with little effort or inconvenience, or expense. For this you could be paying well over $5,000,000 for a reasonably sized condo, even more for a private home (aka Brownstone). The other end of the spectrum is the individual who works in Midtown Manhattan and lives in the suburbs, whether on Long Island, West Chester County, or a multitude of New Jersey Counties, you would be looking at 10-15 minutes from the train station in Manhattan to your office, add to that the 45-90 minute train ride, plus the drive to the train station if you don’t live within walking distance, and your quality of life drops significantly. You are potentially spending 1.25-2 hours per day, each way, commuting to your office to work. If you work an 8 hours day, that ends up eating a huge portion of your day, and therefore leaving very little time for anything else. Most of my friends who work in Manhattan and commute leave their homes before 6:00am to get a train and guarantee they are at work by 9:00am. Then on the return home, some will stay in the city for events, meetings, meals, or just to avoid the rush hour squash of the commute, and get home after 9:00pm. To then get a reasonable amount of sleep to be able to wake and do the whole thing the next day leaves very little time to do anything else. This is where the rule of location comes into play, and should be extremely obvious to you now. The closer you are to your place of business, the less time you have to spend getting there and back, the more time you have to enjoy the quality of life afforded you by working. When I help my clients review their options for locations, one factor that I always try to review with them is what their goal is for their real estate purchase. We will review a list of things that are important to them in their life, and also what their goals are. Frequently people are steered toward the shiny new construction projects which tend to be a lot further from the business hubs where they work. Everyone wants new and shiny, but most consumers don’t understand that there are more important factors in a real estate purchase than the gloss of the finish. The value of location has a direct impact on the cost of real estate because the convenience of being close to the places you want to be, or need to be, does hold a premium to many. If you have two identical 3,000 square foot homes, what would the price difference be if you were in the Wilmington, Delaware area and purchasing in Delaware (we have quick access to Pennsylvania, New Jersey and Maryland, so I don’t want to stretch out of the New Castle County Delaware area). Let’s say that the first house is 3 miles from your place of work, was just built in 2014, has 4 bedrooms, 3.5 bathrooms, 3 car garage and a half-acre lot. All the finishes are high end, a gourmet kitchen with granite and top of the line cabinets, hardwood floors throughout, iron banister for the stairs and cat walk, a stone two story fireplace, and architectural details throughout. The cost at the near work location is $750,000. From this house you have the option of going home for lunch. The second house is about 35 miles away, and you have to cross the Chesapeake & Delaware Canal to get there, it is identical to the first house as it was constructed by the same builder, but in this location the cost is $375,000. Better pack your lunch – maybe even dinner, definitely a snack, with traffic, construction and congestion you will be lucky to make it home in time for dinner. If price didn’t matter, which would you choose? Hopefully this has helped demonstrate the true value and reason behind the old saying “location, location, location”. Whether you own a home, rent a home or want to own or rent, most people at some point have or will be, a real estate consumer. I would venture to guess that by the age of 30 more than 95% of American’s will fall into these categories. This letter is to you all, not all of you are those that need to read this but you will probably know someone who should. Please share this. I am a REALTOR® and a Real Estate professional. I help people buy or sell houses, sometimes I help them with rentals or leasing, but my focus is on helping people. I offer a service, expertise, passion and commitment – my goal is to help people navigate the waters of the largest financial decision that most people make in their lives. I care, we care. I chose real estate because I have loved what it represents since I was a child, I remember peering over the wall of my parent’s pool cabana and watching an open house at my childhood home. It was fascinating, I wanted to be inside and to watch what happened, how people reacted, what they did and looked at, I wanted to get inside their heads to understand the thought process, how they made a decision. We are REALTORS®, we are professionals. We are REALTORS®, we are professionals. We have invested time and money to become licensed real estate salespeople and sometimes brokers. We have rules and regulations we must follow in how we work, behave and disclose. We have federal guidelines to observe and respect, should we fail heavy penalties could be levied against our Brokers and ourselves. We are primarily independent contractors, we pay our own social security (double what you would see deducted from a regular paycheck), we pay our monthly fees (including that website you are using to look at houses), we pay annual fees to be members of the National Association of REALTORS®, we pay for Errors & Omissions Insurance, we work for Brokers, in most States we are also paid by the Broker, and we pay a lot more, in many ways. We answer our calls at all hours of the day or night. We are frequently greeted with contempt and a tone of distrust from some consumers who call our cell phones or offices. We are the “lowest of the low” in the minds of some, and in the manner in which we are treated. We work every day to fight the public opinion that we are “not necessary” or “anyone can do it, why should I pay a commission when all you do is list my house and nothing more” are the type of misconceptions we encounter on a daily basis. We don’t get a paycheck, no one pays our expenses, we get no payment until after a closing, and then the time varies depending on how the broker pays an agent. When we work with a client we commit to them, to not show another person a house they might be interested in, to put their needs first, to act as their Agent and at their direction and consent. When we make a commitment to work with you we are choosing you over countless other clients in a market area. It is not ethical to create a competitive situation for our own clients. There are days when we may forget that our “jargon” isn’t your “jargon” and that plain English and explanations might be necessary, but we all have our expertise in our professional fields. When you don’t tell us “I don’t understand” but instead stop communicating or walk away, we are left feeling rejected, we worked so hard for you and we will never get that time or money back, or more importantly enjoy seeing your excitement when you get the keys to your American Dream. Our industry has failed to make the value of our industry clear, it has become convoluted in the mindless media message of “real estate sales are sales” at best it is a misnomer. We don’t sell real estate, we consult and facilitate the purchase of real property and the improvements (the house and structure) on that property. We help facilitate the American dream of home ownership. It is not always an enjoyable experience, it is fraught with drama, nail biting cliff hangers, and tremendous amounts of nervous anticipation. We know this, but sometimes we might forget to tell you this. We are not only your REALTOR® but we are your therapist, talking you off the cliff of “buyers remorse” because we saw the excitement in your eyes when you first stepped into the place you want to be your new home. We are market experts and can make that dream come true. It is not just about completing some paperwork and calling it a day. Our job as a REALTOR® is to make the process SEEM easy, effortless and as carefree as possible. If you think it is effortless to buy real estate then we have succeeded, but that success brings with it a price – the blatant and rampant disrespect for the professional qualifications and experience that goes with the name REALTOR®. This is our fault, to some degree. We spend so much time fighting to prove our value, that the message of what that value is becomes lost. We don’t teach you, the consumer, enough about how the industry works. Who likes to discuss money? You see the big picture and think we are “overcompensated” and a bunch of “Rich REALTORS®”. It might be helpful for us to open the books, to share the secret doctrine of the industry. A REALTOR® could possibly be the smallest cog in the wheel, but the most important, it is our efforts that bring the business to the Broker, it is our efforts and opportunities that make the transaction happen for your American dream. Our value as a REALTOR® is many fold, but simply put – it is making the largest purchase of your life be the smartest purchase of your life. Helping you navigate the process from weighing the choices, to writing the contract, to protecting your interests and making sure the contract is not breached. Through the inspections, negotiations, and then the final walk-through, to the closing table, and beyond a REALTOR® is there for you, to be your advocate and your expert, without compromising our obligations to protect your interest, confidence and our obligation to be your Agent – your eyes and ears in the process. We are REALTORS® and real estate professionals, all of us. I am a real estate professional but most importantly I am a REALTOR® meaning I took an oath to go above and beyond the rules of most states that govern real estate sales, I follow a higher standard with the REALTOR® Code of Ethics that is over 100 years old. I have spent 15 years helping people buy/sell/lease real estate, I have spent countless hours and thousands of gallons of gas driving around to show people houses who then decide to call someone else to buy a house. It is time to realize what a REALTOR® offers and the valuable partnership that exists between the consumer and their REALTOR®. Not every REALTOR® will be the right fit for a consumer, we all have to recognize this, and consumers need to freely communicate this. It is a partnership of the most important fiduciary kind, a symbiotic relationship that makes the American dream come true. We are Professionals, we are experts, we want to help, we are consumer advocates, we are passionate about truth and justice, we are REALTORS® and we want to help you. Thank you for your trust, your time and the opportunity to serve your needs. We are grateful to have the opportunity to prove our value to you, and if you don’t see it – if it looks effortless, then we did our job properly – the job of a REALTOR®.